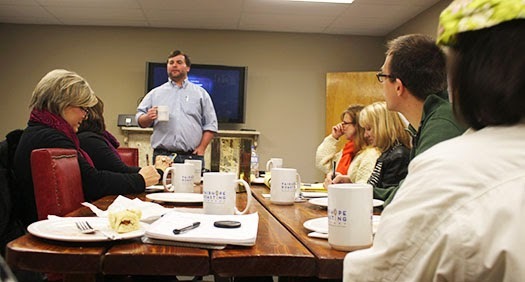 On what was surely the coldest morning in South Alabama in many moons, members of the Southern Bloggers Jubilee met at The Fairhope Roasting Company. As a big fan of that dark, delicious ambrosia we call coffee (seriously, a big fan), I was surprised I hadn't heard of this particular business. However no cold weather or head cold was going to keep me from checking it out. Upon entering the building, we were greeted warmly by Hanson Eskridge and Mackenzie Chandler in a warm and cozy seating area. 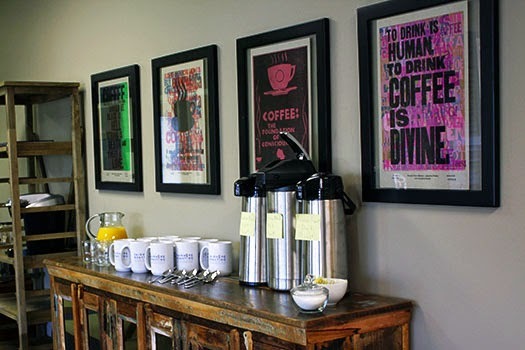 They even had big coffee mugs waiting for us next to piping hot containers of their Breakfast Blend (light roast), Fairhope Blend (medium roast), and French Roast (dark). After some preliminary meet and greet, Hanson gave us some information about how this new-and-unique-to-Fairhope business came to be. In October 2009, Hanson moved to Minneapolis where he worked for Bull Run. By May of 2013 he was back in Fairhope with all his newfound knowledge but no place to turn. 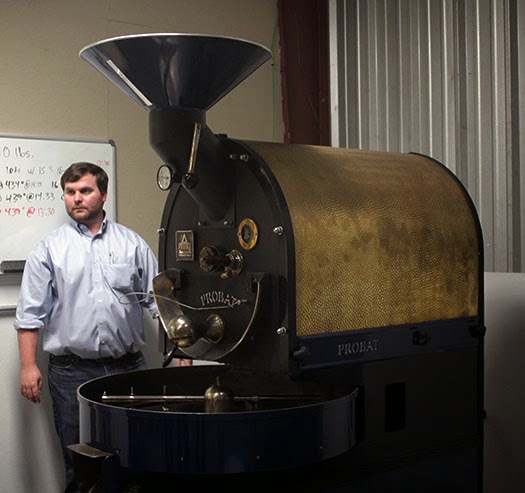 He launched a Facebook page and reserved the Fairhope Roasting name online as he wanted to be the first in the area. On a visit to Windmill Market, Hanson presented his coffee-roasting-business idea to several local businessmen. Within 15 minutes Hanson received a call from Mr. Carlton. By the end of August, they finalized their partnership. It took little time to find a building. Hanson hired Mackenzie to handle the tech and marketing side of things. They moved into the building on Commercial Park Dr. in October. About a month ago they had their health inspection, and it's been uphill from there. 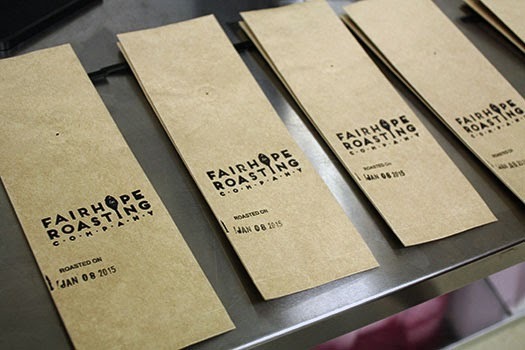 Bags of Fairhope Roasting Company Coffee can already be found in local venues such as Windmill Market, Greer's, Rae's Kitchen, The Garage Studio, and Vine. B and B Pecan even carries some of their Toasted Pecan Blend. If you just want to grab a cuppa, Sweet Olive at the Windmill Market brews the tasty java. 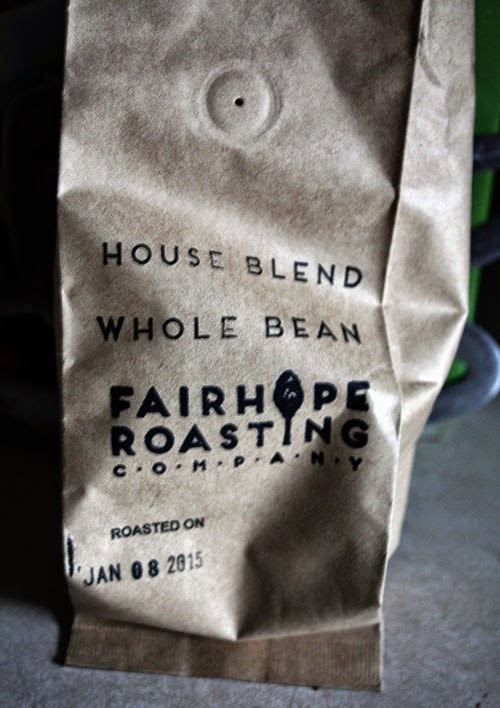 Of course if you're not local, you can always visit the Fairhope Roasting Company's coffee page to order you some. And y'all. . .it's good!!! I didn't even put any cream in that first cup. It was so smooth, so yummy. After getting all the background on the origins of the company, we were invited to watch a batch of the Fairhope House Blend get roasted. This is a blend of coffee beans from Guatemala and Brazil. Here's a quick video I shot of some of the process. We were even given samples of that exact roast to take home. 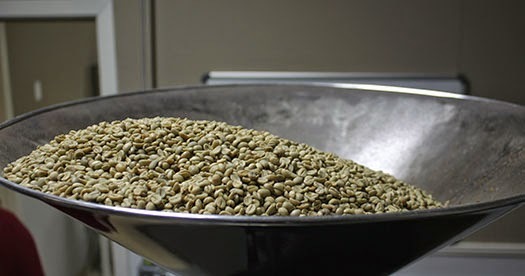 And I must say having fresh beans that were roasted only hours before is a real treat - one that I won't be depriving myself of any longer now that there's a great roasting company just up the street. We couldn't get into this bag of coffee fast enough this morning! 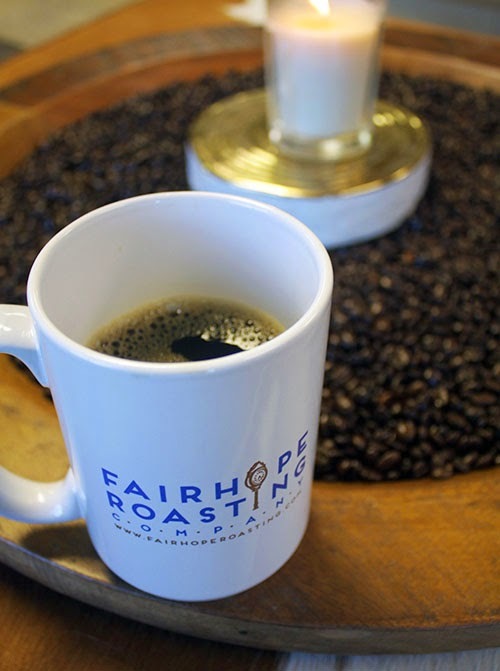 Make sure you check out the Fairhope Roasting Company's website. You can also find them on Facebook, Twitter, and Instagram. 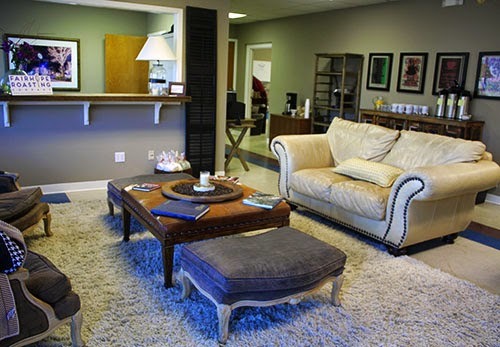 Don't be afraid to pop in at the shop at 361 Commercial Park Dr., Fairhope, AL 36532. I'm sure they'd be happy to see you! What a great report you've given. It was so fascinating to see this being made, and I'm glad I got to be there with you. Your video is wonderful. Always good to spend time with my favorite jewelry blogger - especially with delicious coffee! Very informative. 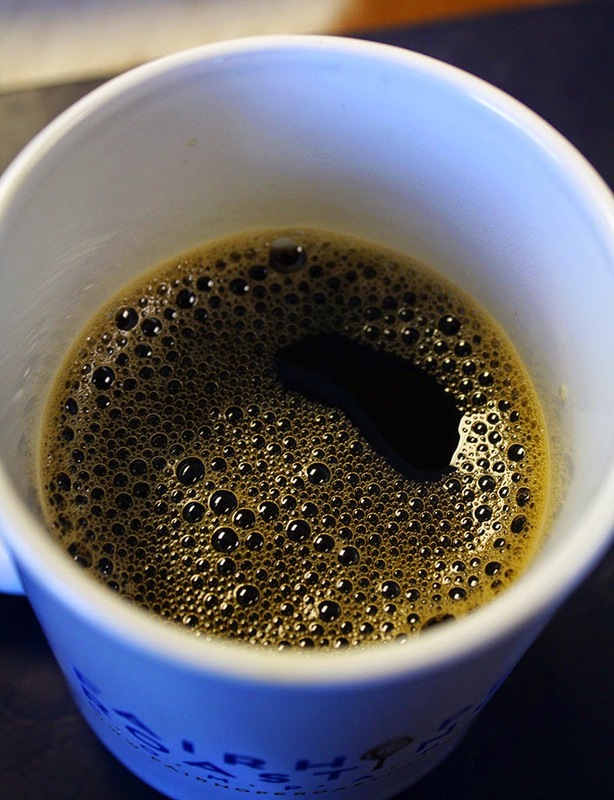 Since I am limiting caffeine I was surprised to read about dark roasts having less caffeine. I would have thought just the opposite. Thanks for a recap since I could not attend. Good coverage of the experience, Hope! I'm sorry I missed that one. 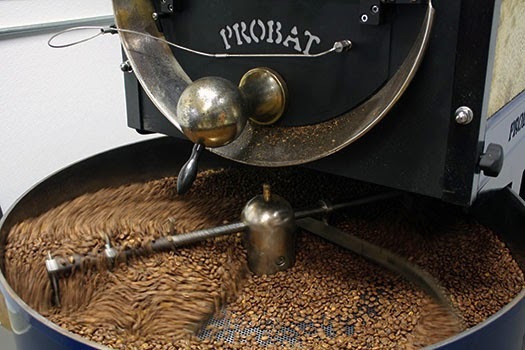 You're right about freshly roasted coffee being the best. My sister-in-law is from Colombia, South America, and I've had coffee that was roasted the day before by her dad and it was so much better than anything that can be bought in a store. I'll have to check this place out! What great coverage and photos of our day. Hanson and Mackenzie were such nice people and they have a terrific business going on there. Fairhope is lucky to have them. I made the coffee this morning and it was wonderful! I'm so glad you didn't let the cold weather or your sniffles keep you home. Hopefully you're feeling a little better by now. Lorraine, Thank you. Yes, I LOVED Hanson and Mackenzie! They definitely know how to make people feel welcome. And the coffee. . .holy moley it's nummy. I'm so much better today that I was that day. Thank you for your well-wishes. I appreciate it so much!! 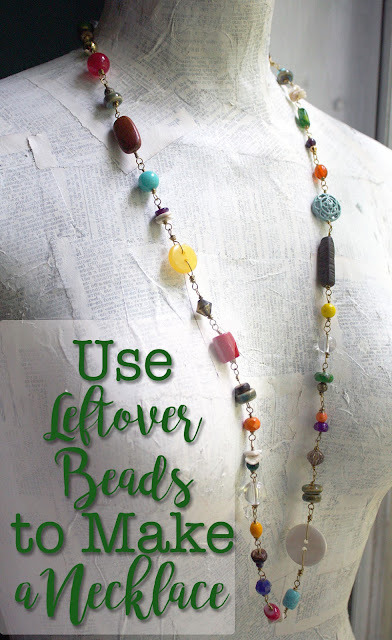 Great Post, I love watching the video, but loved being there with you and our Southern Bloggers. Squirrel! Alan! Hahahaha! Yes, the fellowship at our meetings is definitely one of the best parts. I really enjoying being around like-minded but also different-minded people to get a new perspective on common goals. It's invigorating!